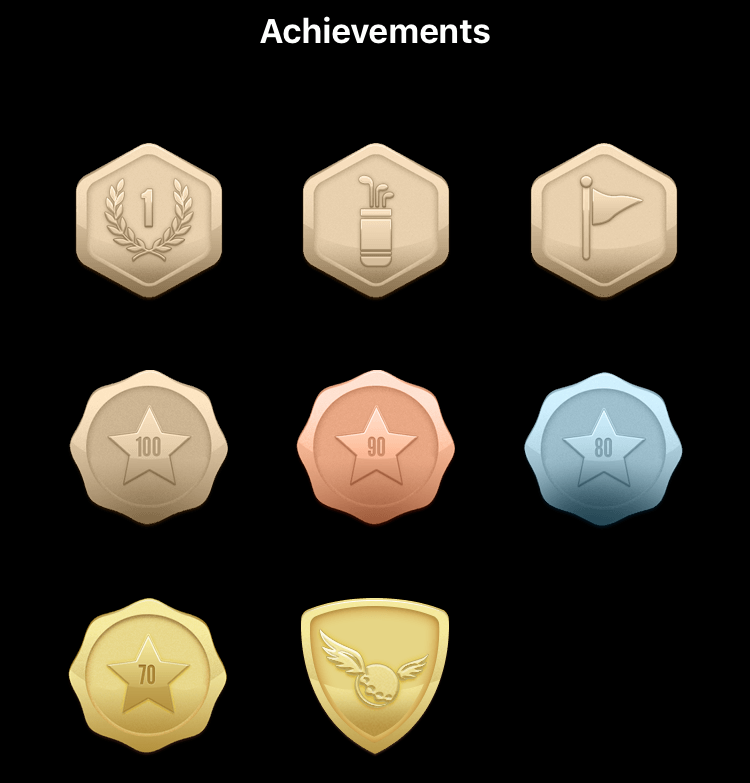 Achievements are special badges that are awarded to 18Birdies users for completing certain tasks in the app. Which achievements do you have in your collection? Which one will you earn next? There are 8 total achievements available in 18Birdies. Please send your suggestions for new Achievements to Support@18Birdies.com! The creme de la creme; the one and only; the official 18Birdies Achievement! 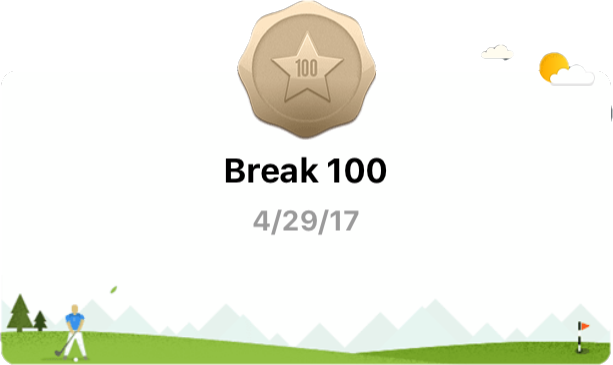 The 18Birdies achievement tracks the birdies you have on a specific course. 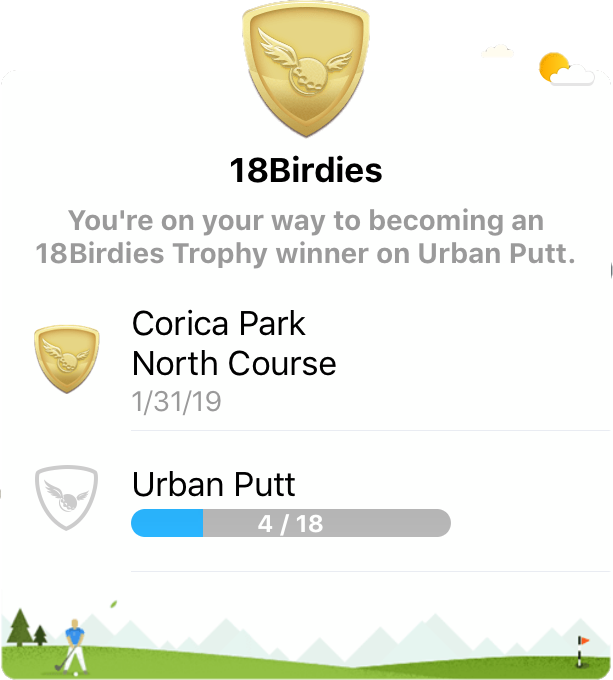 The 18Birdies achievement is awarded to players who have birdied each of the 18 holes on a specific golf course, regardless of the amount of time or rounds it took to get there. 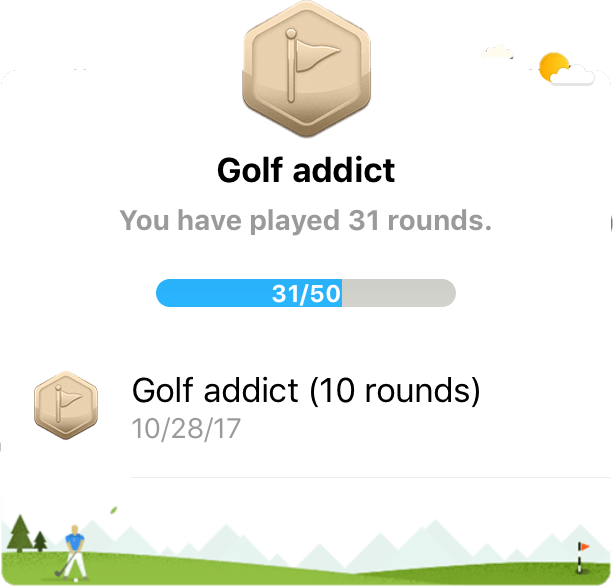 Do you have the 18Birdies achievement? We'd love to hear from you! *Birdies must be verified as part of a Qualified Round in order to be eligible for the swag pack. First things first. Play your first round with 18Birdies to earn your first achievement. This great day is datestamped so you will always know where you came from! Unlock new achievements for your low round scores!